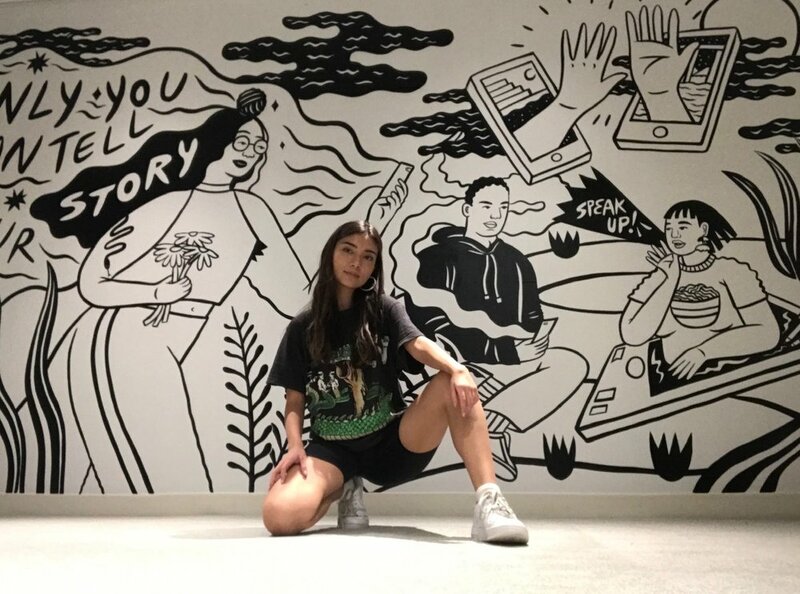 I was invited by the incredible teams at Snapchat and The Gathery to paint the inaugural mural in Snapchats’s new Creator Lab. The Santa Monica space will act as a hub for creatives working in storytelling. I wanted to create a space to encourage young storytellers from diverse backgrounds to believe in their stories and represent themselves in an authentic way. I loved working on this space and the creative freedom that Snapchat gave me in this process. The night I finished up the piece. A proud squat.